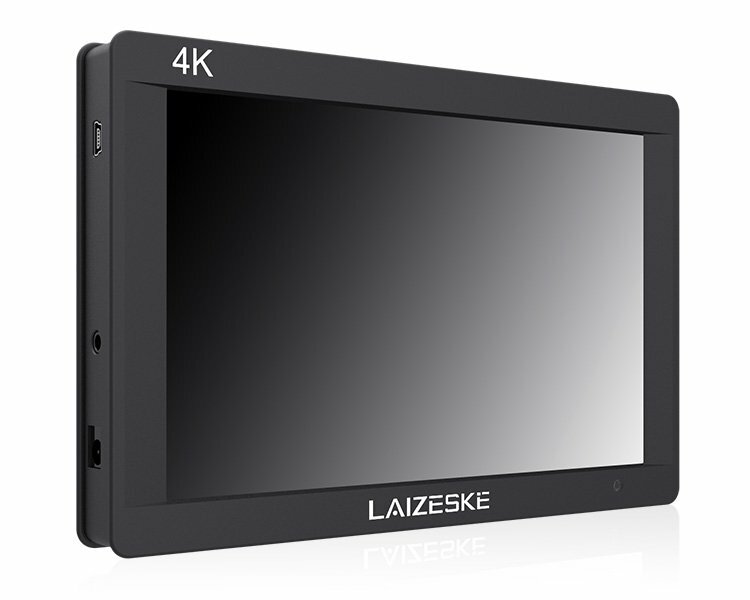 The 7″ 3G-SDI 4K HDMI On-Camera Monitor from Laizeske has an IPS panel with a 450 cd/m2 brightness output and features a 1920 x 1200 resolution for viewing detailed high-definition content. It can display up to 16.7 million color images with pixel density up to 323 ppi. 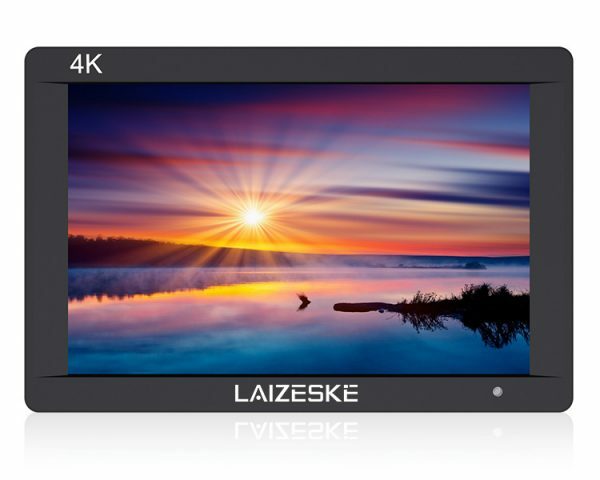 This 7″ monitor is equipped with easy-to-use function keys, 3G-SDI and 4K HDMI input/ output, 3.5mm earphone slot, and a built-in speaker. 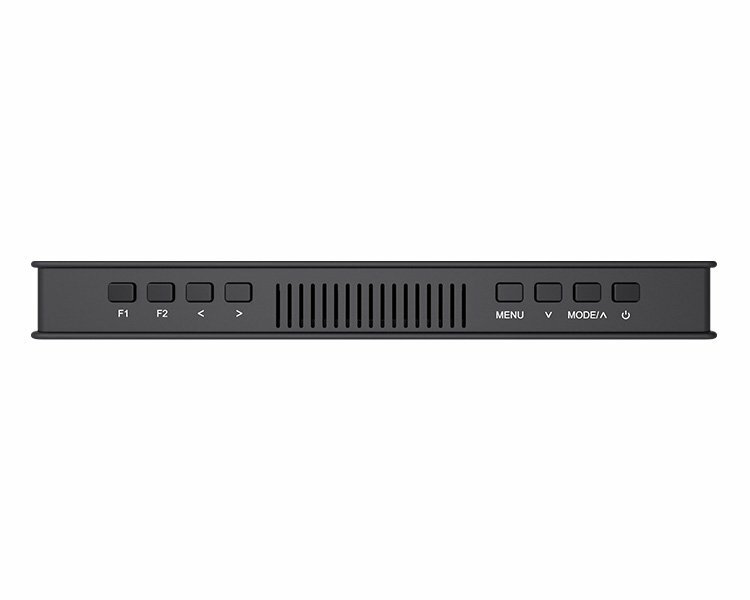 The SDI input supports all SD, HD, and SDI formats up to 1920 x 1080 at 60 Hz, while the HDMI input supports formats up to 4K at 30 Hz. 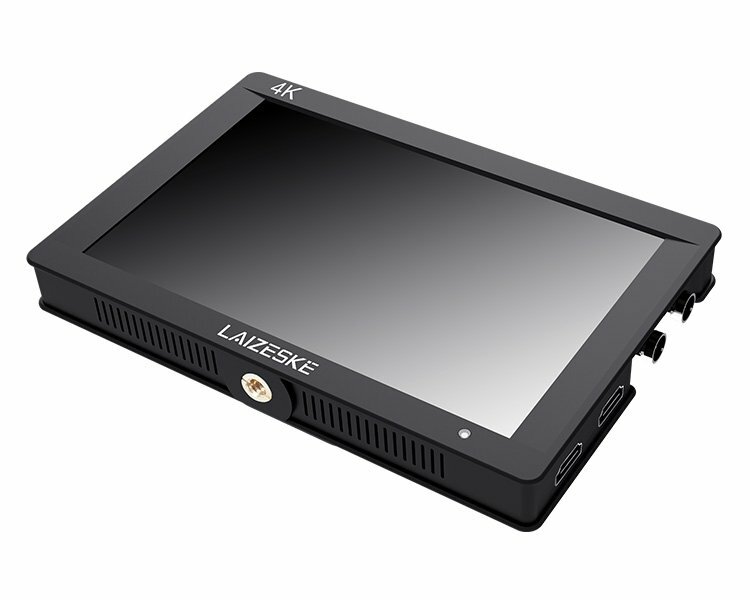 With 3G-SDI, 4K HDMI in and loop-out, the monitor not only displays live signals, but also send them out to other monitors simultaneously. It has the ability to display live picture on multiple displays at once while still maintaining the original video quality. 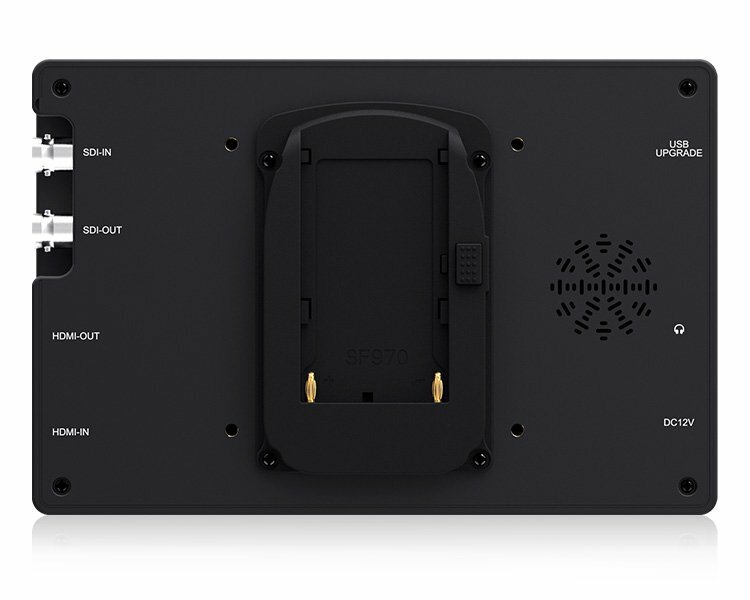 The monitor has a flexible battery system that can be powered by a power adapter (optional) and supports a F970 battery plate (standard), and optional D28S/D54, LP-E6, and U60 battery plates. With a hot shoe mount, it can be connected with the DSLR, slide, and other shooting components to facilitate the shooting and monitoring of different scenes. It can also be connected to a tripod. You can use this quantitative tool to check picture brightness. It shows the distribution of brightness in an image as a graph of brightness along the horizontal axis, and a stack of the number of pixels at each level of brightness along the vertical axis. The False Color filter helps to set the camera exposure. As the camera iris is adjusted, elements of the image will change color based on the brightness values. Used to assist in exposure adjustment in the zebra pattern mode, it is considered overexposed and displays the moving warning lines onto the overexposed areas. It can be adjusted from 1 to 100 IRE. The built-in selection of no-squeeze, 1.3x, or 2.0x allows you to use anamorphic lenses or adapters and see the image de-squeezed, even if your camera does not do so in-camera. The 2.0x mag mode magnifies the center of your image, allowing you to check the focus of your scaled image. Frame blanking zone includes six levels, from 0-6 (transparent to black). Box Dimensions (LxWxH): 21.2 x 6.5 x 4.3"